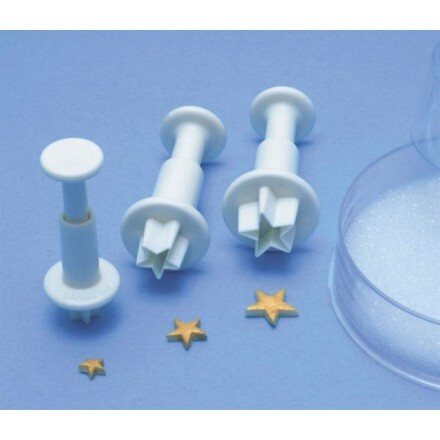 These cutters are ideal for use with a wide range of materials including sugarpaste, flowerpaste, marzipan etc. 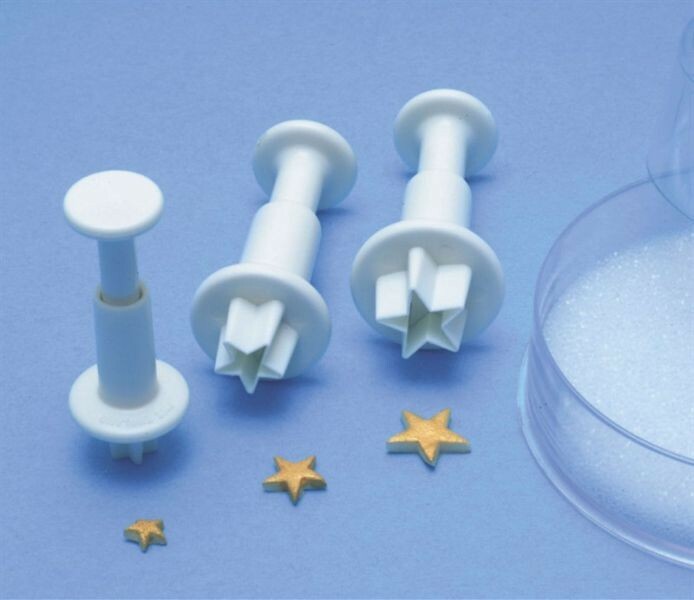 Very simple to use, creates five pointed stars. Contains three sizes measuring approximately 7mm, 10mm, and 13mm. Made from durable, easy to clean plastic.